I would swear that Kuriositas had been going longer. If I couldn’t simply look up the date of the first post on the site and see it for myself – 13 March 2010 – I would say that I had been beavering away on it for at least five years – minimum. Perhaps that indicates the amount of work that goes in to it or more likely both the frustration and satisfaction (in equal measure, but never quite equal at the same time! )I gain from running a blog like Kuriositas. There are so many people I could thank but I would end up sounding like Gwyneth Paltrow at the Academy Awards but I would like to point a finger in the direction of one person in particular. Thank you Dragos Murgociu not just for the design of the site but also and particularly for your ceaseless enthusiasm not only for Kuriositas but for the blogosphere in general. 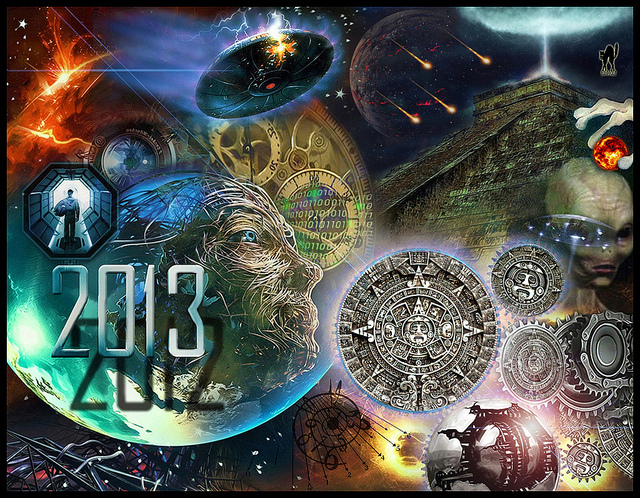 So, as Kuriositas goes in to its third year I would like to wish you a happy and healthy 2013. What has made Kuriositas truly worthwhile is the huge amount of positive feedback I have received over the (almost) three years of its life. If you have been one of the many people to comment, email or call then thanks for the support and the advice. Similarly, if you are new to Kuriositas, please keep coming back (if only out of, erm, kuriosity!). I am hoping that in 2013 the website will continue to grow and to engage readers old and new. After Kuriositas had been running a month or two a friend of mine said that it really should have been called sh*t that I like dot com (and don’t you know it, that domain name was available!). He was a little concerned that because it did not have a niche subject then it would fail to find a niche audience. Although it does occasionally perplex people (myself included) I am grateful that there are so many people out there who like an eclectic mix of subject matter and who enjoy the surprise of what comes next as much as I do. So, here’s to the New Year. Thanks! April 22 2013 would have seen the one hundred and fourth birthday of a remarkable woman. 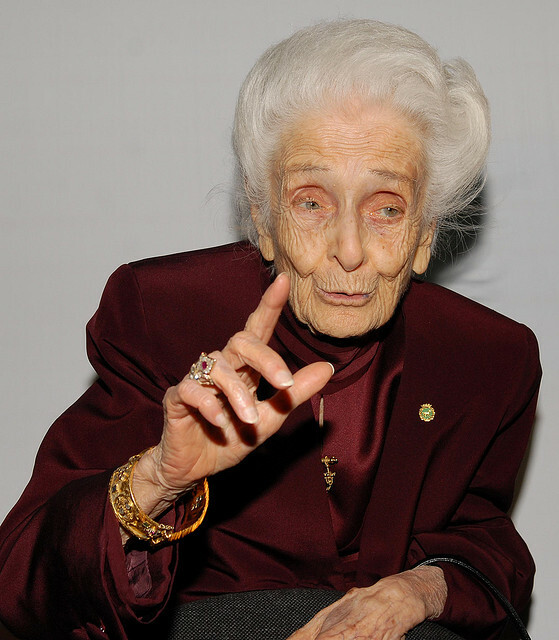 Born in 1909 and the oldest living recipient of a Nobel award, she worked past her centenary and put her remarkable longevity down to her own discovery – NGF (Nerve Growth Factor). 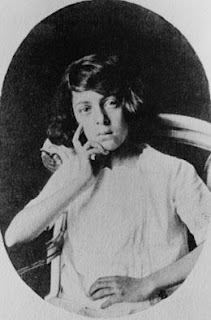 As a Jewish European woman her own life took many dramatic turns in the times of Hitler and Mussolini - and beyond. It was a life which, if depicted in a movie, would have many people incredulous that the makers would think they could get away with something quite so unbelievable. The Ark in Space today has a feature on the Silver Fox. A rare creature, many assume this to be a sub-species of the red fox but in fact they are one and the same – good old Vulpes vulpes, the most widely spread of the carnivora on the planet. 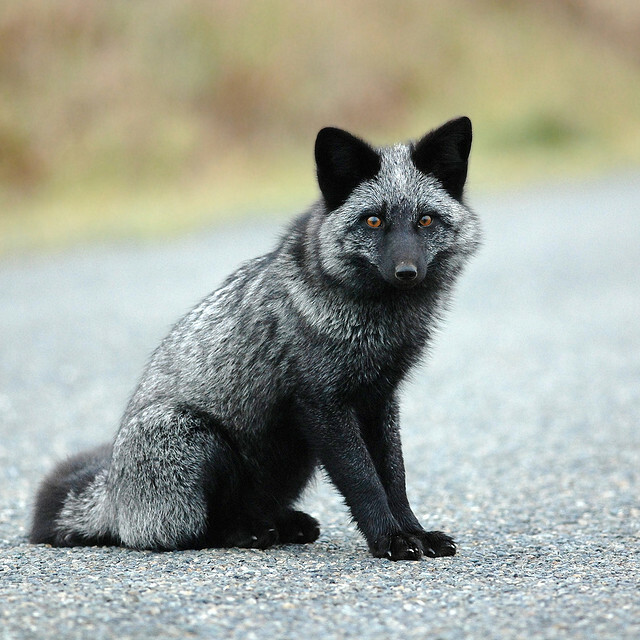 Yet this color variation occurs due to melanism and the silver foxes live quite happily side by side with the red one. Pop over to the Ark in Space to see more wonderful pictures. Le Marais is a district of Paris which, were you to choose, could be a holiday destination in itself. Although it seems to be seen more and more as simply the gay quarter that should tell the seasoned traveler something – gay districts usually take root in neighborhoods which are diverse, cultural and historic (and therefore interesting to the curious). Le Marais is all of those – and more. 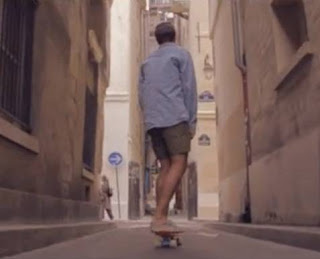 So, take a tour through Le Marais on something typically French – a skateboard. Seriously. Filmmaker Thomas Guerrin followed an (unnamed) boarder through the streets of Le Marais (using a glidecam + 5D III) capturing, in this unusual way, the architecture and feel of the place. He captures the people too – Le Marais has long been home to Jewish and Chinese communities and he captures these as well as other categories more typical of French life, such as the older lady with her host of pampered dogs! It is difficult enough to capture the spirit of a place without being on a skateboard, but Guerrin artfully captures the essence of Le Marais in all its variety. I have yet to see a better advert for my favourite Parisian district. If you live outside of the US then you may not have heard about the latest stateside comedy phenomenon. 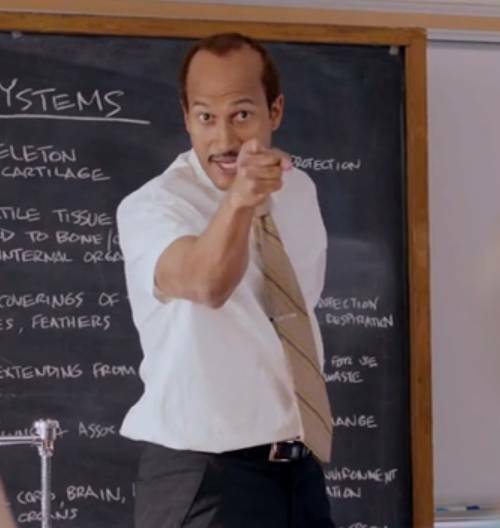 Key & Peele comprises Keegan-Michael Key and Jordan Peele who before getting their own show were regulars on MADtv. It (gently) takes the rise out of movies such as Dangerous Minds and its like by swapping the generic roles of inner city kids and metropolitan teacher around – to very funny effect. 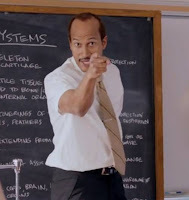 As far as I am aware, Key & Peele are only broadcast in one country outside of the Americas, and that is Australia. However, I don’t think it will be long before they are household names around the world. I have said it once, I have said it a thousand times: literacy saves lives! It is the most sparsely populated country in Europe. Iceland, warmed by the Gulf Stream, has a temperate climate and has been settled for more than a millennium. 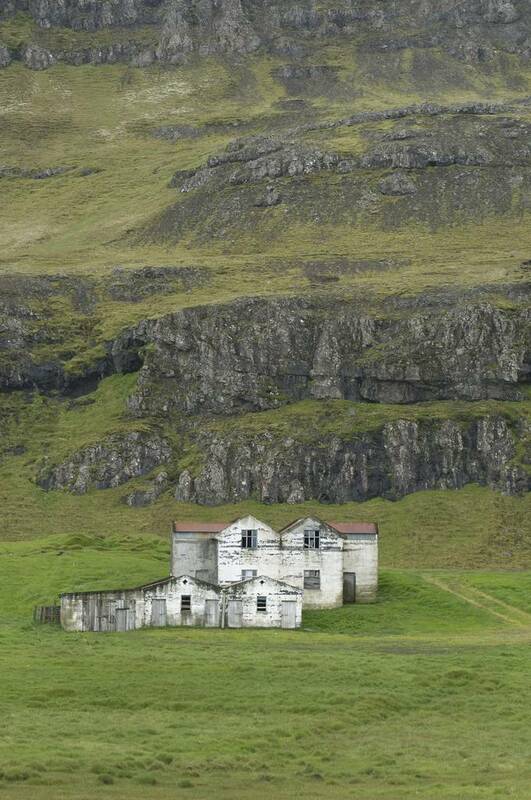 Yet despite having a population of only just over three hundred thousand, the majestic countryside of Iceland is dotted with the ruins of houses and other buildings abandoned when they were no longer needed or their inhabitants were forced to move on. 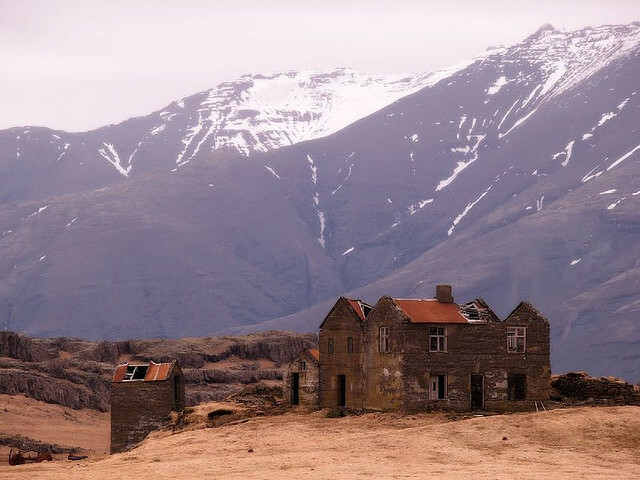 Take a look at some of the abandoned buildings of Iceland with some imposing views thrown in for good measure. Jenn Franklin grew up as a shy, introspective girl with an unexpectedly big voice, wowing crowds as a 12-year-old singer covering artists like Alanis Morissette, Heart, Janis Joplin and Aretha Franklin. Hold Up the World is a particularly beautiful song which is taken from her 14 track album Girl Invisible. 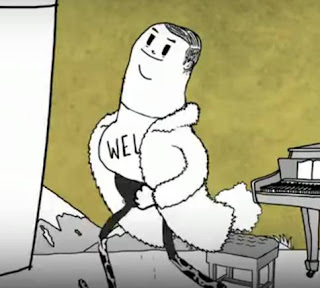 The animated music video which accompanies it is just lovely – created by talented animator Mel Walker. It's about having a bad day and being bullied, but finding hope in a good song and endless imagination. The song and video are in support of anti-bullying and suicide prevention organizations and websites such as It Gets Better. With the help of talented artists such as Franklin and Walker, one can see that it will. Are you one of those people who, once you have seen a movie, revisit it but only watch the parts you really like? 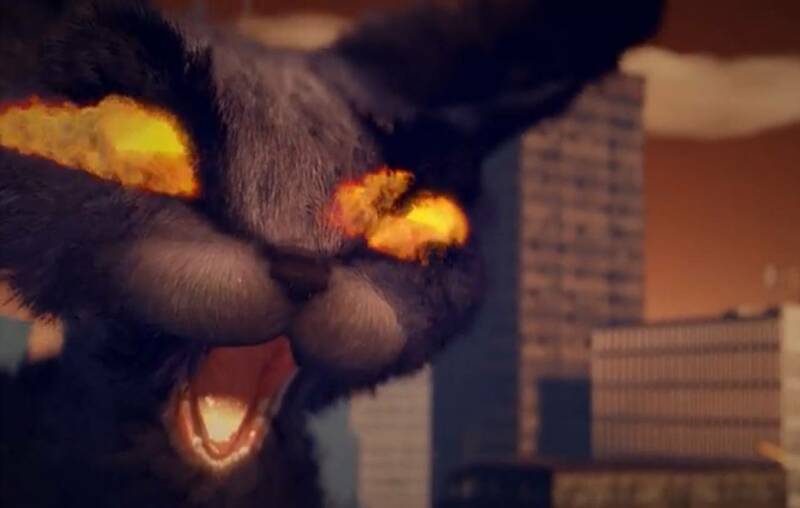 For me it’s often the last few minutes I go back to again and again and so Catzilla is perfect in that respect as it seems to be the end of a much longer piece – even though it stands up well enough on its own too. Catzilla is rampaging through a city and there is only one person who can stop this marauding ferocious feline! 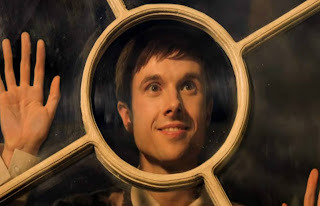 A few days ago there was a feature on IO9 by Charlie Jane Anders about Doctor Who and how the experience is so much different for those of us who watched it when we were children (the original series). As you might imagine it caused something of a debate to which I was more than happy to give my own very fond memories of watching the show as a child. As Doctor Who edges towards its fiftieth anniversary I thought I might share the video above with you, lovingly put together by Joe Siegler. I originally shared it a few years ago but Mr Siegler has now updated it, up to and including the Christmas Special we all watched just a few days ago. 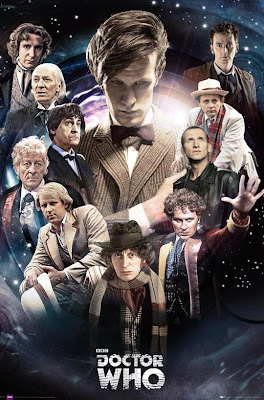 Although it is over forty five minutes long (which means slightly less than your average modern episode) it gives a whistle-stop tour of each and every single adventure the Doctor has had on the television. As there are so many you will only get a brief glimpse of each but it is enough to give even the newest of Who neophytes a taste of what has been happening to our time traveling Time Lord over the last forty nine years. Each and every regeneration is included plus you get to see all of the companions, old and new. Of course you will get to see how your favorite monsters looked in the 60s, 70s and 80s too – before CGI and the BBC bothered to give the show an effects budget. My advice is go get your preferred beverage and snacks and settle in for a real treat! 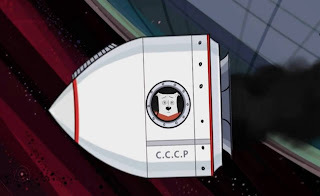 Laika was, famously, the Soviet space dog that became the first earthling in space in 1957. 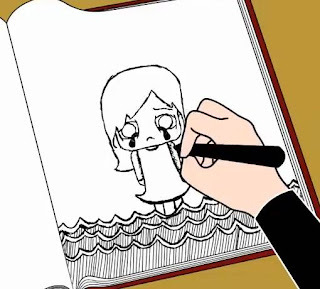 This charming animated short by Avgousta Zourelidi is an imagining of her journey. Once she is launched in to space, Laika reminisces about the last three years, from the time she was plucked from the streets of Moscow to her training at Space City where she was chosen above two other dogs for the mission. Of course, if you know the real story, you know that this cannot possibly have a happy ending. Yet Zourelidi manages one. For many thousands of people who look to the stars and the future (myself included), Laika has a special place in their hearts. This adds, beautifully, to her legend. Stanley’s life works like clockwork – literally. He lives within his own self-contained world but everything changes when he spots a girl from his bedroom window. This charming stop motion short movie is something of a bittersweet tale – one of loneliness, isolation and, finally, freedom. 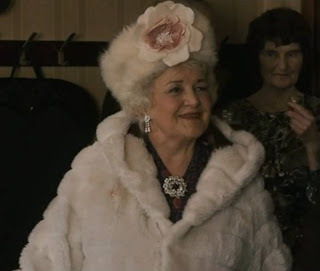 I am sure that the end will put a smile on the most cynical of faces but I still have to wonder how Stanley’s life came to be as it was in the first place! Stanley Pickle was shot entirely on a stills camera on 2 sets and 2 locations. 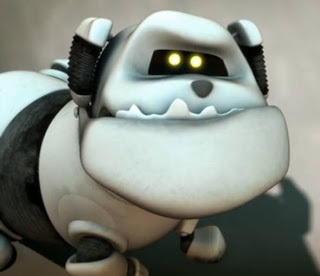 The film premièred on to the festival circuit in June 2010 at the Edinburgh International Film Festival, where it picked up the McLaren Award for New British Animation, followed by Oscar qualification at the US première LA Shorts where the film won Best Experimental. It was directed by Victoria Mather and stars Drew Caiden who surely has the most expressive face on film since Jim Carey. 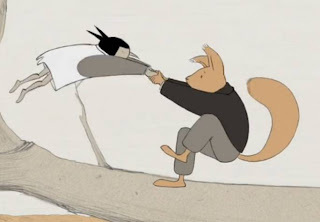 This is a beautifully made animated short with a twist in its tail. You do have to watch it from beginning to end and once you do it will leave you somewhat nonplussed perhaps. 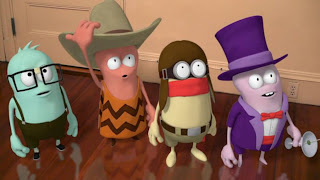 Whatever, it is an interesting animation, that is for sure - and a cautionary tale for children, perhaps (though perhaps not the more sensitive ones)! A little girl stumbles across a doll shop that has, in its window, a doll that looks incredibly like herself. What happens next? You have to watch it to find out! If you haven't been looking forward to Christmas and you think you are going to have a terrible time then spare a thought for Saint Nicholas. Father Christmas, Santa Claus - whatever name you use for him, consider this. Howe many centuries has this poor man endured his yearly task to take presents to the (sometimes ungrateful) children of the world? Bad Night for the Blues is one of those car crash comedies that, despite or because of the nature of the lead character, makes for compulsive viewing. If you are offended by strong language, then it is advisable not to watch! Bad Night for the Blues is a Slinky Pictures Production for the BBC Film Network and UK Film Council in association with Vision+Media. It was directed and written by Chris Shepherd. 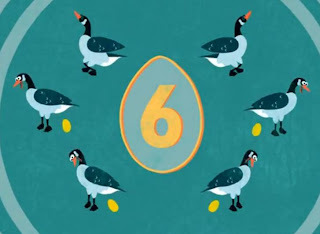 If you fancy a sing along then here is something which might strike a note (ouch) with you today – an animated version of the 12 Days of Christmas. You get all your favorites, whether they are the drummers drumming, the pipers piping, the dancing girls (the what?) and of course all those animals, more than you can fling a tray load of burned stuffing at. The animation was created by Mummu, who flex their collective creative muscle to produce an animated Christmas card. 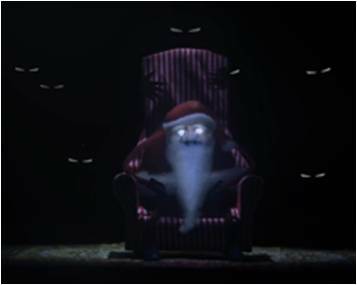 This year with the help of The London Chorus, Mummu animated the 12 Day of Christmas in true traditional and festive style. Makes me want to do a Scrooge the morning after and run through the streets of London giving out goodwill and prezzies. Almost. An old man (who looks something like Father Christmas) sits on a park bench. His attention is drawn to the sound of music, tunes from long ago which stir memories. He follows the music – but what you make of the rest of this contemplative animated short from BZ Gibson and Stephanie Harlow is up to you. It is somewhat inscrutable but if you are in a thoughtful mood today you may give your musings more material. If you are feeling a little melancholy at the moment then this may perhaps suit your mood. 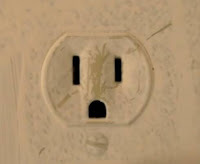 Kontakt tells the story of a lonely electrical outlet. He has his uses but there is one thing he lacks in his life – and that is love. Whether or not this is what he gets is another thing – you will have to watch this stop motion/ animated short by Florent Tarrieux to discover his fate. Tarrieux is now based in California but has a background in snail farming – which may just be French irony or it could be true. Either way he has a very groovy website which showcases a lot of his excellent other work. Life can be boring up in the clouds when you are all alone. Podical Solutions Solar Collection Employee Sam (he isn’t really given a name, I think that suits him though) is bored out of his mind until, one day, a stray robotic dog turns up on his doorstep with something of a crash, bang and wallop! 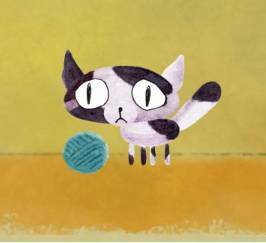 Directed by Andrew Atteberry, Stray is a collaborative short film project initiated during his time at iAnimate, a series of online animation workshops created by Dreamworks animator Jason Ryan. Magnetic Dreams Animation Studio also helped Andrew bring this film across the finish line by allowing him use of their render farm and a large portion of their staff. 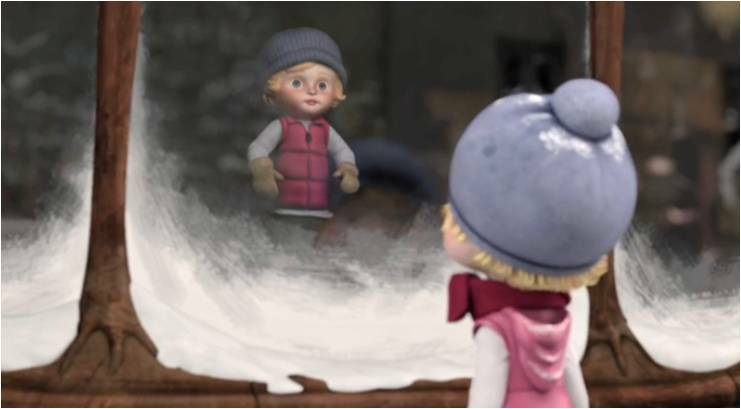 It’s a charming animated short, perhaps just right for this time of year! 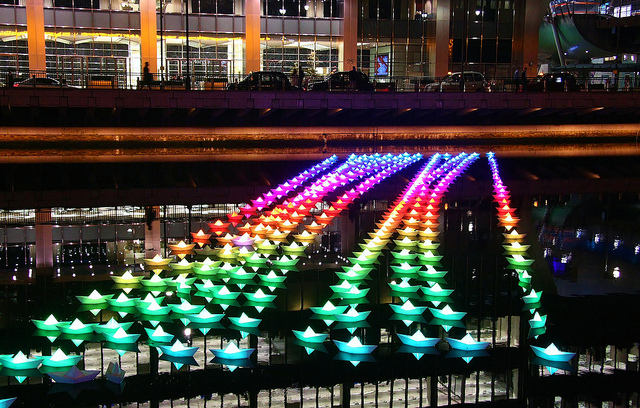 London’s Canary Wharf has become home to a gorgeous fleet of three hundred boats which can be controlled by the mobile phones of onlookers. They may look like origami boats but they are not made from paper. 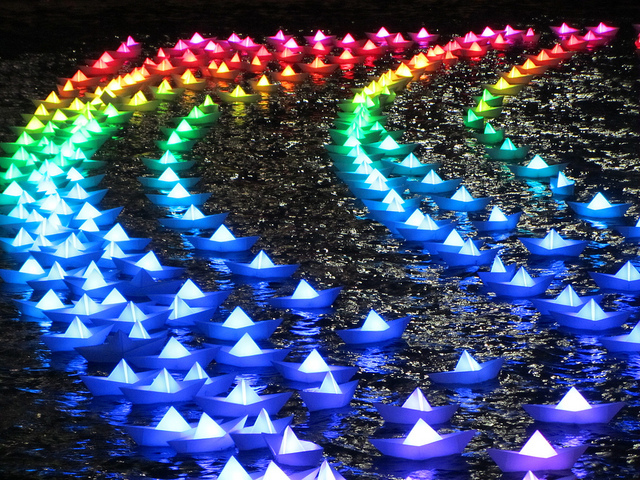 Each boat is lit via a wireless network which people can join from their phone and then change the color of the lights. Just in case you thought I had been a little too optimistic of late then here is something that put me back on track. Man tells the story of, well, man – but through the somewhat jaded but nevertheless keen and penetrative gaze of London based animator and illustrator Steve Cutts. We get to see half a million years of human history in just a few minutes and, one must admit – if you look at it this way then perhaps we deserve everything we get as a species. Man certainly works as an antidote to all the faux Christmas bonhomie doing its yearly rounds in the media and if you are looking forward to a gloomy rather than a gleeful Christmas then this animated short may very well (without irony or maybe just a little) make you feel a little better about life, the universe and everything. I realise that I am not selling Man very well here – but watch it for yourself. It is very, very funny despite the fact that it paints you, me and everyone else in history as a despicable species with only one redeeming feature – the capacity to be treated the same way in which we have treated the planet and its environment for the last half a million years…. If this has piqued your interest in Steve Cutts, then visit his website and/or his Facebook page. Now that all that Mayan malarkey has passed and civilization remains as intact as it was beforehand perhaps it is time to consider what apocalypse really does mean. In the original Greek, ἀποκάλυψις is the lifting of a veil – a revelation. Zombies and meteors and the like didn’t come in to the equation for many centuries. So, in terms of something revelatory, this animated short by Sara puts forward a somewhat different version of the apocalypse than we are perhaps used to. Maybe, just maybe it could be that the true apocalypse is the dawn of a new age of enlightenment – thanks in part to the internet. Take this with a large dose of optimism and forget for a minute or two about the obstacles in the way, but it is good to see apocalypse treated in a utopian rather than dystopian manner for once! Bacon. Pork. Ham. Lots of people love all three, but particularly bacon if you believe certain websites… However, have you ever thought about the animal behind the bacon? Animator Deborah Tudtud (that is the best last name in the world, incidentally) has and this is her offering to the world – one pig that really does not mind being eaten… indeed is absolutely convinced that you should. Right now. This particular porcine performer is a little reminiscent of the Ameglian Major Cow from Douglas Adam’s The Restaurant at the End of the Universe, so keen is it to be eaten! 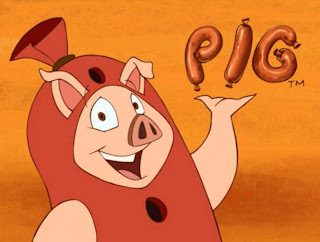 Tudtud created Pig Out as part of the Classical Animation program at Vancouver Film School. Not only did she direct and animate this very funny short, but she also composed and performed the song as well. Cats. They very much live by their own rules, especially when a ball of wall is involved. That pretty much sums up Catello – a group of cats and a ball of wool. I know that the internet is already littered with everything and anything to do with cats and I enjoyed this so much I figured that one more addition to the pile would be forgivable! Plus it's loosely based around the theme of Othello (yeah). Catello was created by a group of international students who attended this year’s Tallinn Festival of Animated Dreams. They are Martinus Klemet (Estonian Academy of Arts, Estonia), Julia Malasok (Estonia), Armelle Mercat (La Poudriere, France), Michael Rykunov (BALL, Russia) and Fedor Shurmelev (Belarusian State Academy of Arts, Belarus). This is for any of you who have to deal with noisy neighbors – though I doubt you will thank me if yours are anywhere near as distracting as these little guys here. 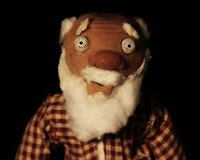 They just happen to be living next to a real life flesh and blood young artist in this mixed media short from Dave Maggio, Jon Lawitts and Jaime Klein who created this for their Senior Thesis Project from Northeastern University in Boston, Massachusetts. As much as the young artist wants and means to pursue his studies, the anarchic mini-toons next door keep disrupting his every attempt with their twenty four hour partying. Yet, perhaps there is a mutually beneficial solution to this problem…. 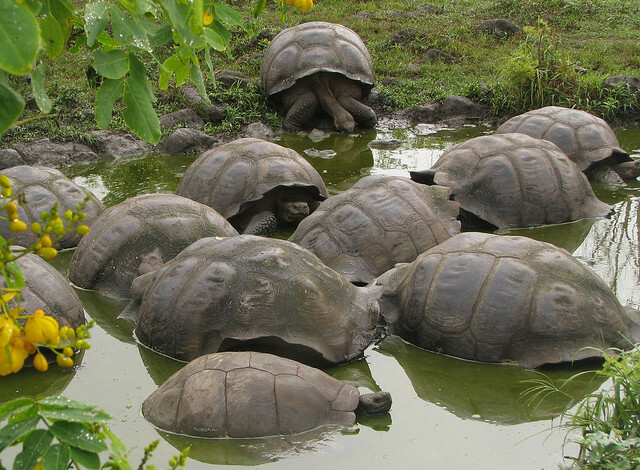 Many thought that the days of the Galapagos Giant Tortoise were gone. On one island of the Galapagos, Espanola, there were only fourteen left. These were evacuated in the 1970s and a breeding program was started on nearby Santa Cruz. Although things looked bleak for the species there are now over 1,000 giants back on Espanola – plus they have started to breed there too! The Ark in Space has this heart-warming story about how these once lonesome creatures aren't so lonesome anymore, including some great pictures of the giant tortoises. 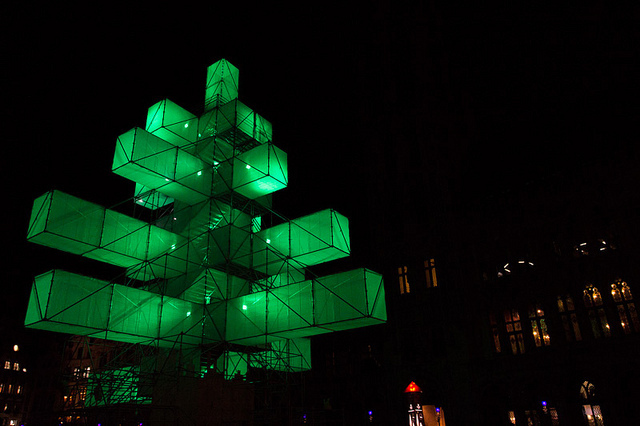 The people of Brussels, the capital of Belgium, may well think that they have the coolest Christmas tree of 2012. 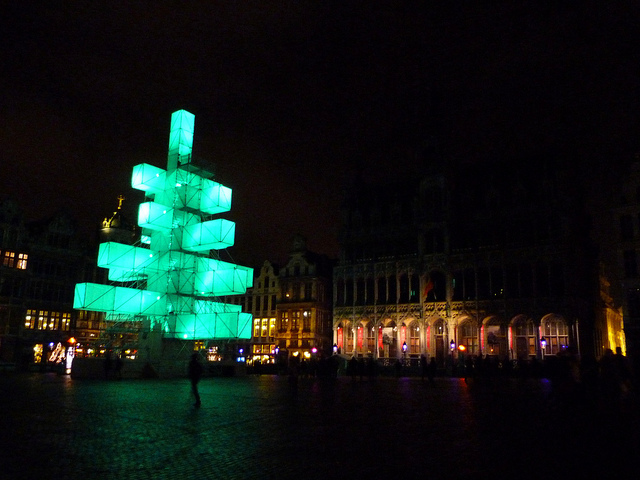 This abstract light installation has somewhat usurped tradition, as a 65ft pine tree from the forests of the Ardennes usually takes pride of place in the city's central square, the Grand Place. Of course, depending on taste you may hate this seasonal replacement, which many Belgians have dubbed The Pharmacy because of the resemblance it bears to the green cross outside chemists the world over. Yet is it truly the coolest Christmas tree of 2012? We have scoured the globe for trees, from the traditional to the ultra-modern which might compete against the Brussels tree if there were a Coolest Christmas tree competition. See what you think of our yuletide discoveries. 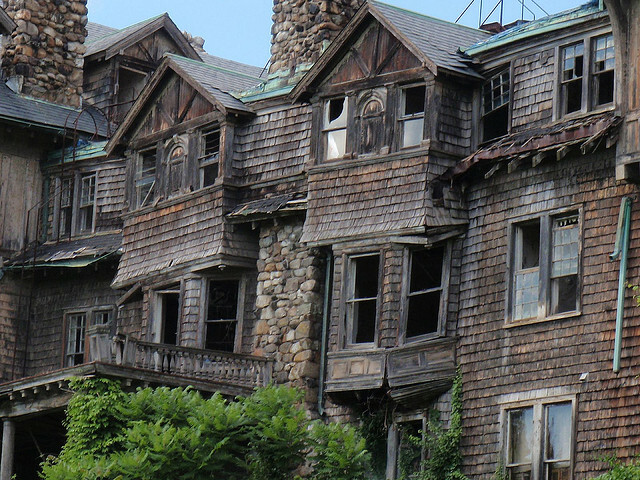 The founders of the Bennett School for Girls were decidedly aspirational. 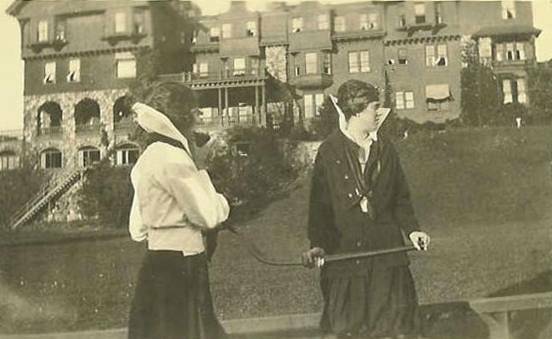 Founded in 1890 it was soon attracting the daughters of a number of prominent American families. 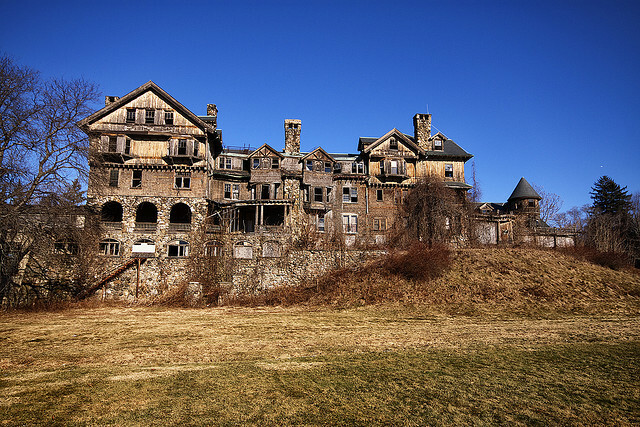 Yet while some educational institutions persevere and thrive for sometimes hundreds of years, the fate of the Bennett School and its grandiose buildings was somewhat different. Now it faces imminent demolition: yet how opulent times once were. To say the school has changed since its heyday is something of an understatement. Take a look at this remarkable series of then and now photographs. If you are a fan of the vintage cool vibe which movies like Charade, Pink Panther and Ocean’s Eleven (the original of course) possess in spades then the chances are you will enjoy Brian Parker’s One Night in Stockholm. It is a dark romantic comedy telling the story of four people – the type you and I might think of as unsavoury but who nevertheless has a somewhat glamorous allure – either despite or because of their criminality. Simmons wants to give in to his desires, while Roxy wants her assassination business to be successful – and stay successful. Ella would like her profession, killing people, to be meaningful again. Then there is perhaps the most dangerous of this cool quartet, Jack. Jack just wants Ella. The movie was made as part of the Whitestone Motion Pictures Protege Program. The film stars Mark Ashworth, Quynh Thi Le (above), Caroline Granger and Jim Chandler. If you are a regular reader of Kuriositas then you will have seen Jim Chandler in a short movie set during the American Civil War we recently featured, In The Grey. 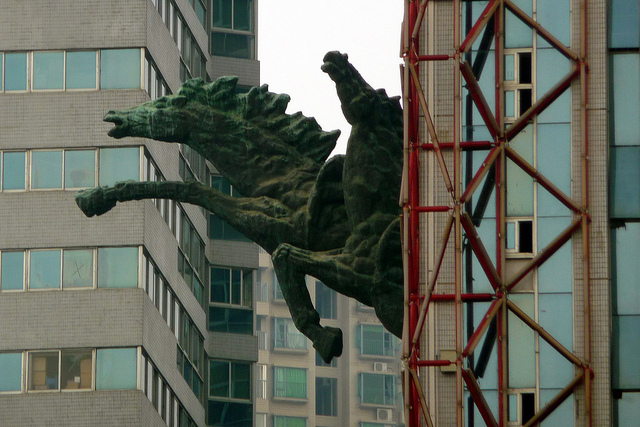 There is no photo-manipulation involved in this photograph. 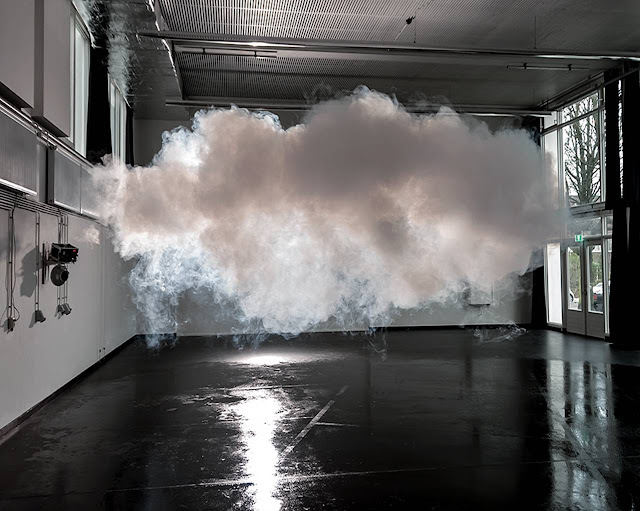 Dutch artist Berndnaut Smilde has invented a method to form a small cloud in the middle of a room. It’s a case of now you see it, now you don’t as the cloud does not last more than a few seconds before it dissipates. Yet caught on camera the effect is startling to say the least. 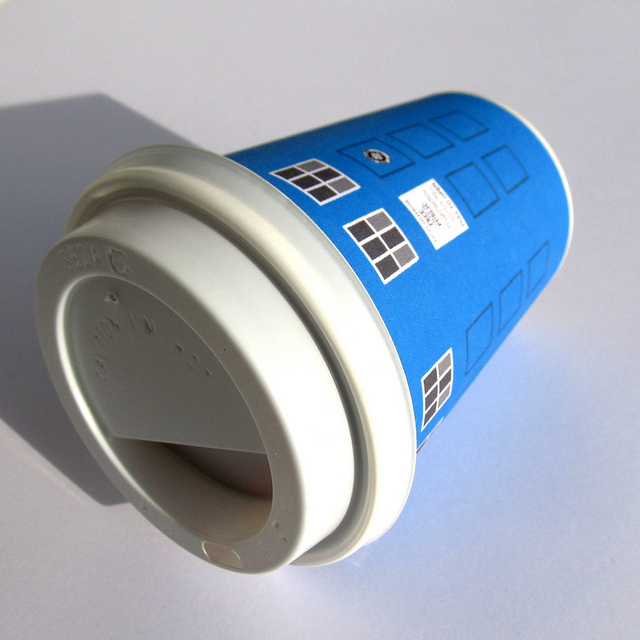 If you are getting a little embarrassed by the logos on your disposable coffee cups (perhaps because the company behind the logo is a tax avoiding multinational the executives of which should know better) and you just happen to be a big fan of a certain Time Lord then perhaps this is just what you have been looking for. Or perhaps not. Maybe you didn't even know that this was what you have been looking for until this moment. Flickr User seelensturm has designed a great cover for your coffee cup. 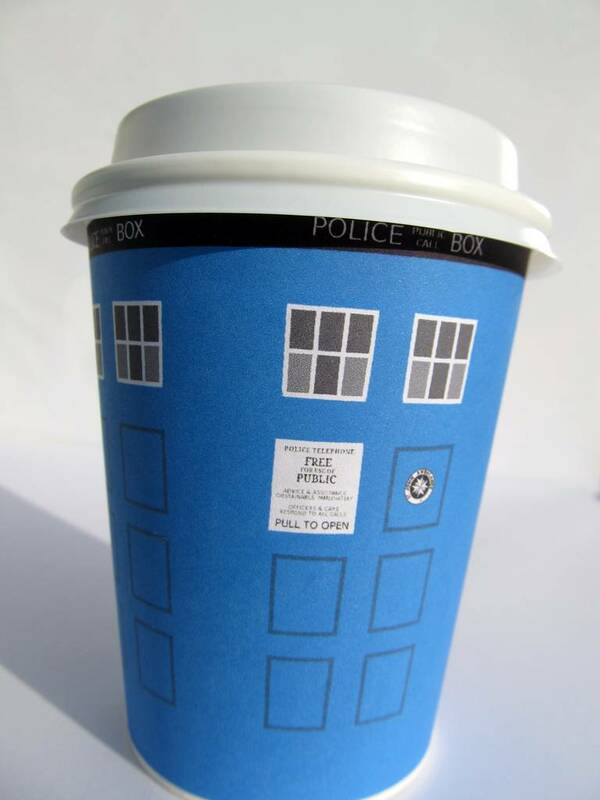 It comes on an A4 single sheet which, after a little printing, cutting, wrapping and sticking, wraps around your cup and does an excellent impression of that august vessel which travels through time and space, the Tardis (as seen on BBC TV’s Doctor Who). 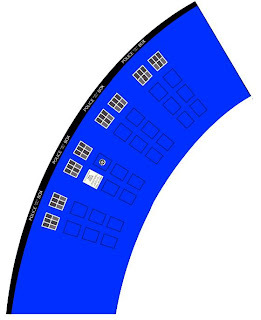 Click on the design to get your own! 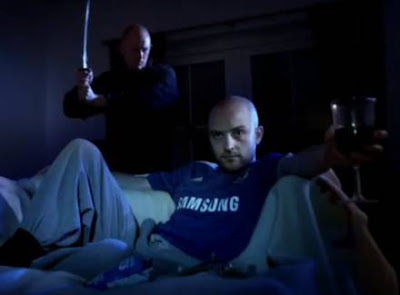 The Bloody Cuts team hope that altogether there will be thirteen episodes in the series. However, unfortunately they have not run out of funds. Although they plan to start production of episode 8, Don’t Move, early in the New Year they need an injection of badly needed funds. I will keep you posted as to when the Kickstarter UK campaign begins, so if you enjoyed Death Scene, please consider contributing to the rest of the series. Clive Buckle is in trouble. His wife has been murdered and he is the prime suspect. As he is interrogated by the police memories return to Clive of his relationship with this wife: how they met and fell in love but then how, one day, she changed. 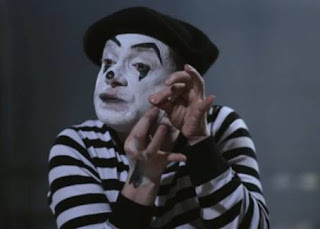 The police can’t prove anything until they find a weapon but what makes this interrogation different is that Clive is a mime artist. Did the mime commit the crime? Starring Martin Freeman, who plays Bilbo Baggins in The Hobbit not to mention Dr John Watson in BBC’s Sherlock, The Girl is Mime was created for the London 48 Hour Film Project in 2010. Directed by Tim Bunn who wants to work for a Hollywood producer who always wears a suit and is constantly smoking a cigar (honestly) this little gem is more proof (if you need it) that independent film making is alive and kicking and possibly entering a golden age. Gothenburg 1913: Get That Camera Out of My Face! Almost a hundred years ago an unknown filmmaker took to the streets of Gothenburg and just filmed the streets – upsetting at least one gentleman in the process. The city, founded in 1621 is the second largest in Sweden and so even a century ago its population was hardly what you could call provincial. The Barber's Shop in the Village, the first-ever Swedish film drama had been released to acclaim in 1897 and by 1905 most Swedish towns had their own cinema. Yet even though, when this found footage was made, eight years later – this was still new technology. Although many Swedes were regular cinema goers they were not regular witnesses to filmmaking, particularly in the middle of a busy street. So, the way that many of the men in this footage react (found by Anton Withagen), staring straight at the camera and engaging its operator in conversation, is not surprising: this would have been a huge novelty for them. 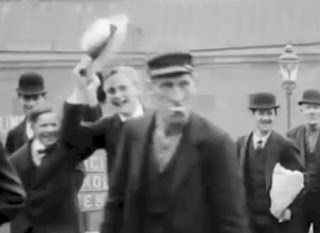 Most seem quite happy to be filmed but there is a point at 00:58 where one middle-aged gentleman (picture above), clearly unimpressed with the intrusion, pulls his tongue at the camera (it might even be that he is baring his false teeth, I’m not quite sure) while several youths happily wave their hats at the camera behind him. What leaves a lasting impression on me, however, about this found footage is its incredible quality: it is after all almost 100 years old. That, and just how dapper the people of Gothenburg were in 1913. The locals believed for centuries that they were formed when devils fought for supremacy. In fact their origins are much more down to earth – literally. 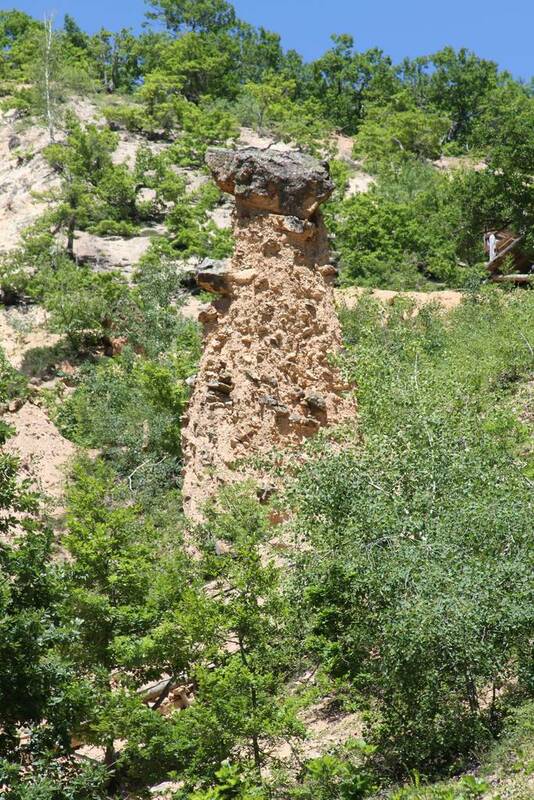 Take a trip to devil’s town, a peculiar place if ever there was one. Devil’s Town or Đavolja Varoš as it is known in Serbian, can be found on the southern slopes of the Radan Mountains. The area is steeped in European folklore and it is little surprise that for centuries these naturally occurring erosions were looked upon with fear and suspicion. 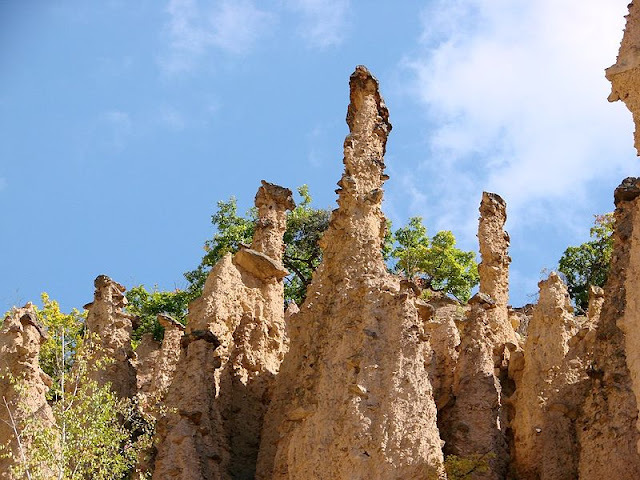 The Devil’s Town is a series of hundreds of stone pyramids and is located in the watershed between the equally frighteningly named Devil’s Gully and Hell’s Gully. Who would have thought that the humble gif was 25 years old this year? Since 1987 the gif in its static or animated form has been wowing and irritating us in almost equal measure. When Compuserve introduced the Graphics Interchange Format to an unsuspecting world, few thought that the format would still be with us a quarter of a century later. 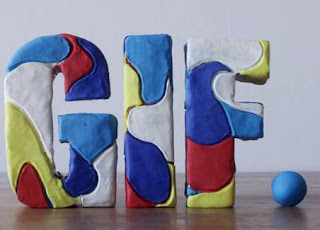 So, in way of celebration here is a somewhat groovy homage to the gif by Legs Media, an award winning multimedia studio based in Los Angeles and New York which creates films, commercials, music videos, installations and interactive content. It takes us through all the highs (and some of the lows) of the Graphic Interchange Format - and all in little more than sixty seconds. 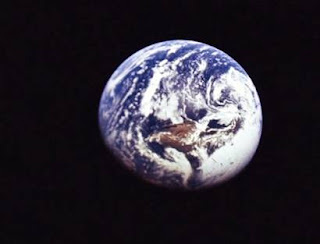 Fred Hoyle, the English astronomer said in 1948 “Once a photograph of the Earth, taken from the outside, is available… a new idea as powerful as any in history will be let loose.” Twenty four years later the Blue Marble photograph was taken by astronauts on the Apollo 17 mission and has become one of the most extensively circulated photographic images ever taken. The photograph has stirred a sense of wonder in countless millions of people. Yet what must it be like to be the photographer? Over the decades since we first ventured in to space, astronauts have recounted the perspective-altering experience of seeing the Earth from the outside. 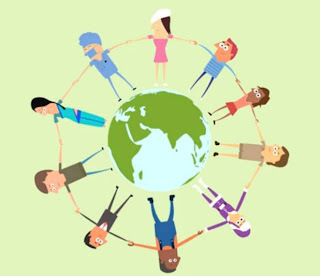 Reactions vary, of course, but a common feature is one of awe, a new or renewed understanding of how all life is connected and – perhaps most importantly – an acute sense of responsibility for the environment. It is called The Overview Effect. Overview by the Planetary Collective is a short film which recounts how The Overview Effect altered the outlook of five astronauts, Edgar Mitchell, Ron Garan, Nicole Stott, Jeff Hoffman and Shane Kimbrough. It’s twenty minute long but every second is worth it. This is lovely. 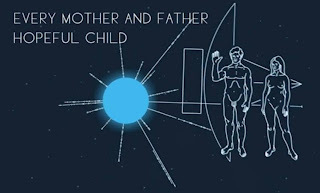 Carl Sagan’s Pale Blue Dot is one of the most resonant pieces in English of the late twentieth century so it is great to see it put to such wonderful effect in this short animation by ORDER. Flawlessly animated, it is obviously a highly personal project and is created with a lot of affection both for Sagan and his wise, wise words. ORDER is a video and animation from a studio in East London. They produce promos, virals, documentary, adverts, stop-motion animation, interview profiles, short films, titles and motion graphics and have worked in the past for clients such as Creative Review, Tate, the V&A and The GLA. Pale Blue Dot is both very cool and technically immaculate, so even as a personal project is possibly the best advert an agency could have! Blue Chimp is back! We’ve waited a while for the second installment of Lee Daniels' web series Jungle Brawl and now it’s here I can tell you that the wait was worth it (as far as waiting is ever worth anything, of course, if you are as impatient as I am). This episode is called ‘Kit’ and that pretty much sums up the immense amount of technology that the The Hunter has brought along with him in his next attempt to capture his simian nemesis. Yet even with all the kit, can he outwit the wily blue chimp? You will have to watch to find out but we are promised more episodes in the future so…. 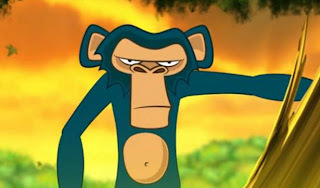 After Effects, Premiere, Illustrator, Photoshop, Element 3D, Soundbooth and Apple Garageband to create Jungle Brawl Episode 2. If you didn’t see episode 1 then a) where have you been? And b) click the link to watch it!